Over the last few years the number of Canadian small businesses processing payments, filling invoices and selling online has skyrocketed, along with the number of online payment providers. 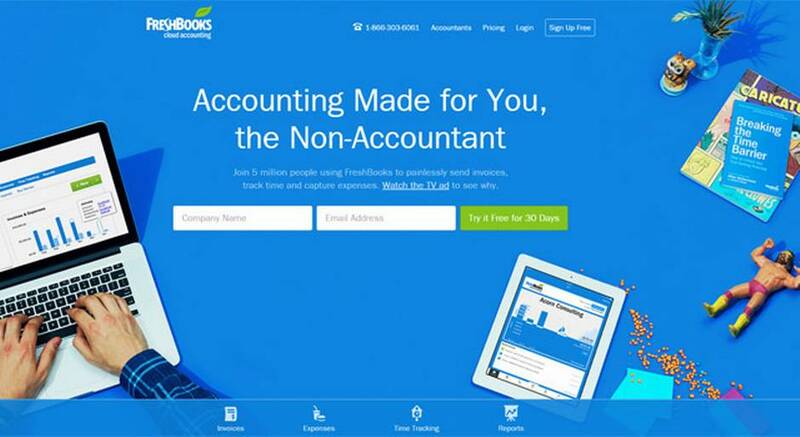 Recently, Toronto-based cloud accounting provider FreshBooks became the latest company to join the increasingly competitive landscape, leaving small business owners with a plethora of options. "I think effectively we're going from a world of oligopoly, where the banks were the only game in town, to a world where there's more choice," said Mike McDerment CEO of FreshBooks. "Managing your cash flow is basically the lifeblood of your business as a small business owner, so with something so mission critical, you want to choose carefully." 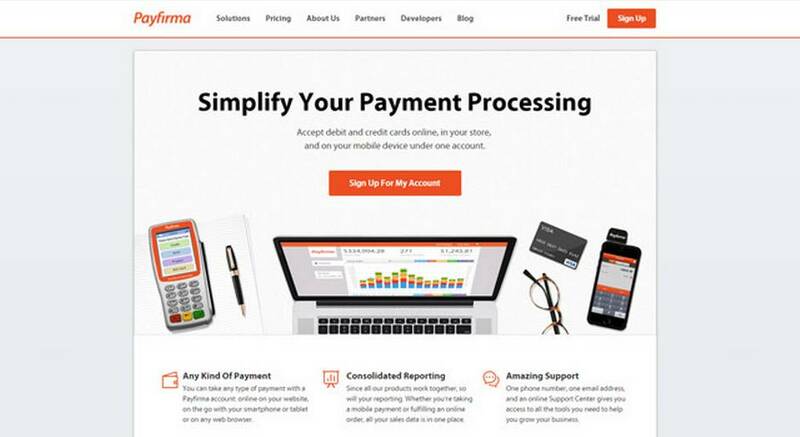 But with so many options, choosing the right payment processing solution can be difficult for small business owners. Here we break down some of the key players, their fees, the services they offer and identify which small businesses they service best. Claim to fame: With over 5 million users in more than 120 countries, FreshBooks is the most popular cloud-based accounting solution for small business owners. Key features: Setting up an online payment service with FreshBooks is quick and easy, especially for existing customers, says Mr. McDerment. “You can very quickly create an invoice, offer the ability to accept online payment, and send that off to your client,” he said, adding that FreshBooks is also known for its quality customer service. Claim to fame: Founded in Vancouver in 2011, Payfirma has quickly gone from obscurity to an industry leader with the help of a strategic partnership with CIBC. Key features: Payfirma provides multichannel payment solutions from one account at one consistent rate, including mobile email and credit card transactions. “Little companies like us are winning because we’re able to provide a solution and a service they (small business owners) can really understand and grow into,” said Michael Gokturk, CEO of Payfirma. Fees: Negotiable, based on volume. “Our published rate on our website is 2 per cent, but it could be more or less than 2 per cent, it really depends on our consultation with the merchants, which we do with every single one,” said Mr. Gokturk. Ideal for: Payfirma’s open API is ideal for small businesses that want to develop a payment system around existing shopping carts and ecommerce solutions. Claim to fame: Moneris is the largest payment processor in Canada for businesses of all sizes, completing approximately three billion transactions per year. Fees: $19.95 per month, with an additional credit card fee of 2.75 per cent. Ideal for: Small businesses looking to expand quickly. Through partnerships with companies like Sage Accounting, RBC and BMO, Moneris is able to provide additional services such as inventory and sales tracking capabilities for small business owners managing rapid growth. Claim to fame: Unlike other major banks, which offer solutions through partnering providers, TD Bank offers their own merchant services. Key features: As a nation-wide banking provider with over 1,100 branches in Canada alone, TD has a physical presence unmatched by their competitors. “We think that’s the key advantage for us, because it’s essentially a one-stop-shop, customers can walk into a branch and get a bank account, a credit card, a loan, etc., and they can also get payment processing, whether that’s retail, point of sale or e-commerce,” said Jeff van Duynhoven, president of TD Merchant Services. 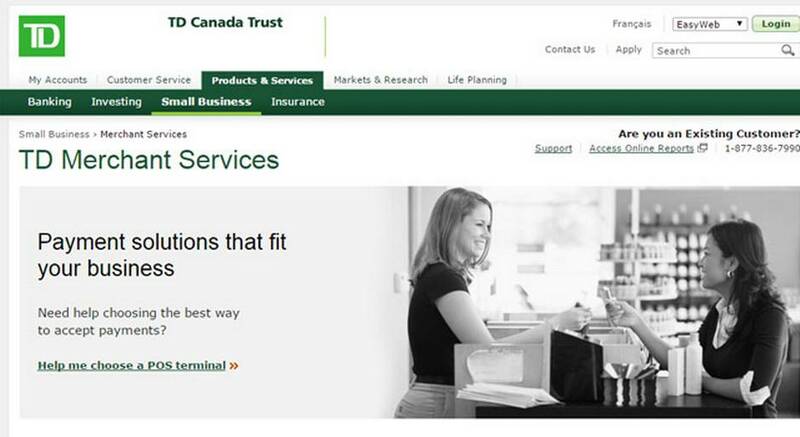 Fees: “We don’t have a flat fee or a posted price, we generally look at the breadth of that client’s relationship, either with TD Merchant Services or with the broader TD Bank Group and price merchants accordingly,” said van Duynhoven. Ideal for: Small business owners already using services provided by TD Bank Group. Claim to fame: Leading international e-commerce platform with over 150 million customers worldwide. 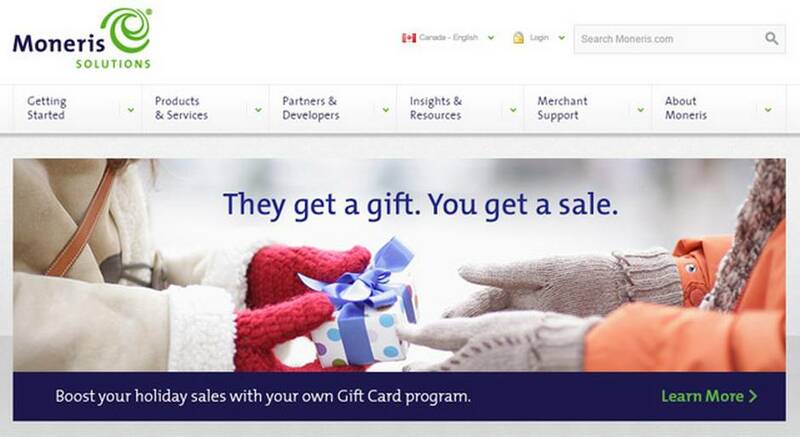 Key features: PayPal provides a wide variety of solutions to its more than 200,000 Canadian small business clients. 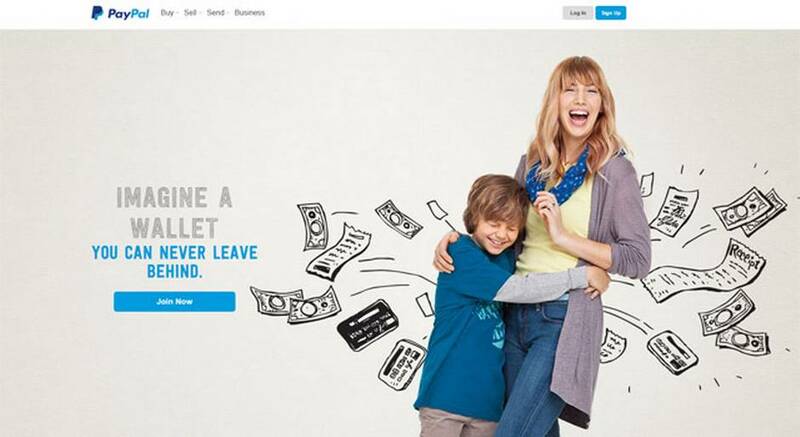 “Our most popular solution is PayPal Payment Standard, that is the one small businesses love the most, because it’s a really easy way to get online quickly,” said Nicky Mezo, the head of marketing for PayPal Canada. Ideal for: Risk-adverse entrepreneurs. As a third-party payment solutions provider, PayPal is ideal for small business owners that don’t want the added security risk of storing customer credit card information internally.